Irfan Masih was arrested on 8 June suspected of a murder he did not commit. For days, he was subjected to abuse in order to extort a confession. He died on Sunday from the serious injuries he suffered. "So what if he died? So many die anyway every day," a police officer said. Human rights activists call for justice, whilst the victim's family is in hiding for fear of reprisals. 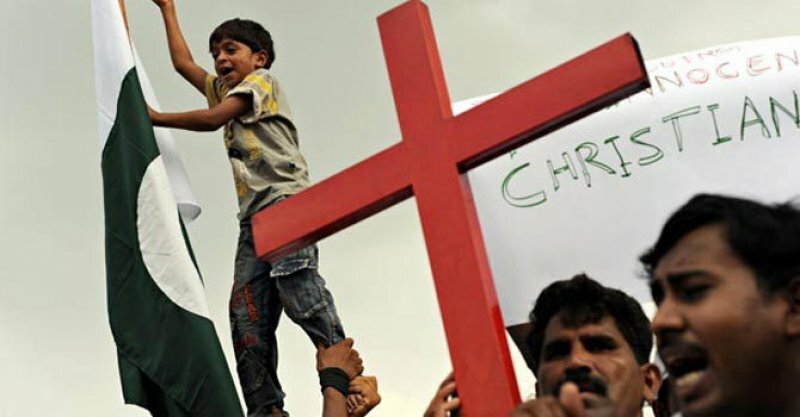 Islamabad (AsiaNews) - Taken into custody by police without evidence or a judge's warrant, a 20-year-old Christian man was held in prison for nine days during which he was abused and tortured in order to extract a confession to a crime he did not commit. In the end, he died from the injuries he suffered, including 22 broken bones, according to the doctors who examined his body. This is the tragic story of Irfan Masih, a resident of Sharikpur, Sheikhupura District, in Punjab province, who died on Sunday, still in the clutches of his captors, all members of the local police. The young man, who was employed by a local company, was arrested on 8 June on suspicion of murder. According to the family, he was held for several days at the police station without evidence or a warrant for his arrest. He died on Wednesday from the injuries he sustained, "multiple fractures" according to the doctors who examined his body. Despite the barbarous crime, police officers in Sharikpur show no signs of repentance. For the station chief, Masih "was not able to bare" the torture and died. His deputy added laconically and without remorse that he was doing his duty seeking the truth and had no regrets. "So what if he died? So many die anyway every day," Deputy Inspector Variam Ali said. Human rights activists and organisations, including Life for All, condemned the vicious act and staged a protest in Lahore. Despite the obstacles involved in suing members of the police, a complaint to the city's High Court is already being prepared in order to bring the torturers to court. Meanwhile, the young man's family has been placed under protection and spirited away to a safe place. Pakistan is not new to cases of faulty justice, extrajudicial killings and suspicious deaths in prison or police stations. AsiaNews has time after time reported such acts of violence, like the death in prison of Robert Fanish Masih in 2009, who had been sued for an alleged (and false) case of blasphemy. The same occurred to a young man suffering from a mental disorder who died suddenly in jail under suspicious circumstances back in early December after he had been arrested on the basis of the black law. Speaking about these cases, Fr John Gill, a priest in Lahore, said that "rigorous investigations" are needed to have justice. "Irfan Gill Masi was an only son," he said, and "we are still asking ourselves what was his fault. Why was he ripped away from his family so brutally? These events must end and the appropriate authorities should act to bring justice."